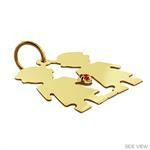 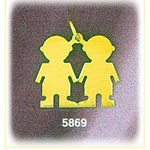 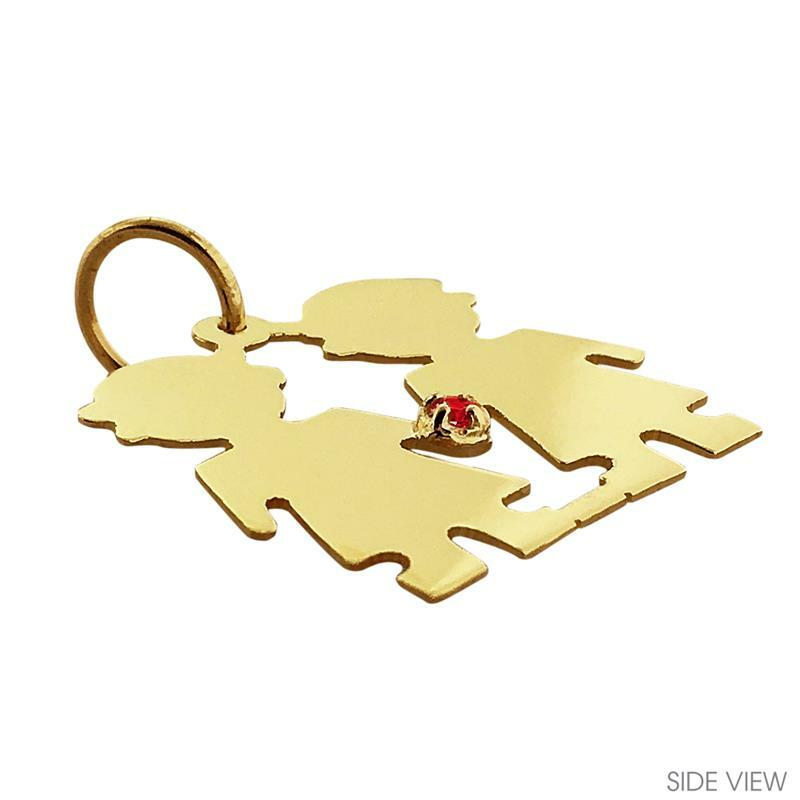 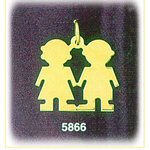 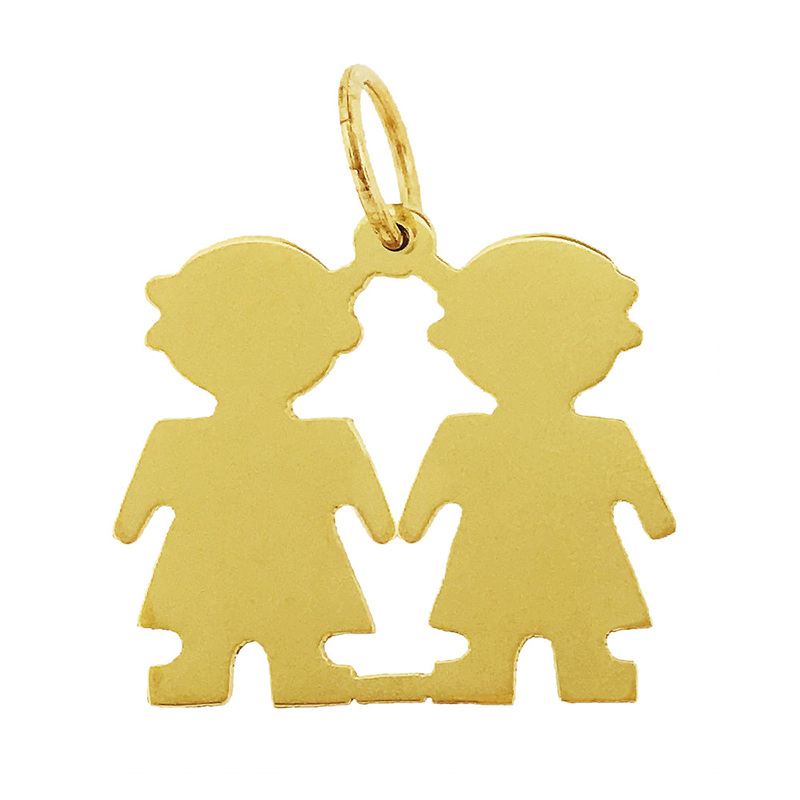 Show off your little princesses with a regal 14K Gold Engraveable Twin Girls Plate Charm. With a 14K Gold Engraveable Twin Girls Plate Charm you can express your unconditional devotion to your little girls. 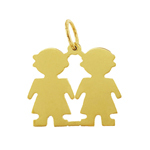 Two silhouette girls, mirror image of each other are crafted out of revered 14kt gold. A smooth, glossy polish makes this childhood charm an ideal piece to have custom engraved. Pendant is crafted in 14k yellow gold featuring a polished finish with flat back, it measures approximately (28mm - 1 1/8") in width by (24mm - 1") in height and weighs 3.6 grams, it is recommended for necklaces.